This entry was posted on July 6, 2015 by Tintean Editorial Team/fdg, in Book review, History, Of Literary Interest, Poetry and tagged 1916, Easter rising. Bookmark the permalink. From the moment you pick up this book, you know it’s a sacred object: a little larger in format than a prayer-book, and not as thick, but with an inbuilt green page-marker (of the sort one might find in a missal). Its handsome hard cover is dark green, with black and green embossed interlaced designs in two different shapes on the cover. 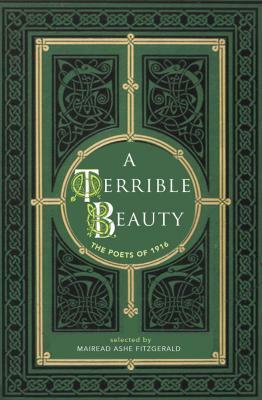 Inside, the paper is thick and creamy and the decorative motifs (often the rose but also Celtic motifs) are liberally spread throughout, and as well there are handsome decorative green pages to mark section breaks and sketches of each of the poets. It’s a book one wants to handle, and it invites reverence as an artifact in its own right. And it has been priced, very modestly, for the gift market rather than the antiquarian book market. The publishers, The O’Brien Press, hope to put into many hands and I, for one, share the hope that every home in the Irish diaspora puts it on the shelf having devoured its not insubstantial 158 pages of poems contemporary with the Rising. It reminds me of the much larger folio editions of the Picturesque Ireland or Historic Ireland variety that came out of the Irish Literary Revival and travelled with my Irish forebears half way around the globe in the early twentieth century. They were similarly books for devotional perusing and meditation. The production quality of this offering is far in advance of the quite basic series on the Leaders of the Rising we’ve been reviewing in Tinteán as they are released in Ireland. Mairéad Ashe Fitzgerald, the editor of this anthology of poems written close to the Rising, has chosen her representative poems well. And each poet, even the bit players, are framed up biographically and relevantly before each selection. It’s very well done. The information is concise and relevant, and demonstrates the diversity of this close cultural friendship group. In the first section, entitled The Confluence of Dreams, the three signatories of the Proclamation, Padraic Pearse, Thomas MacDonagh, and Joseph Mary Plunkett, who were executed, get honoured place heading the volume. Each of them, and indeed every poet represented in the collection, 16 of them, gets a pithy, well-chosen introduction which gives some insight into their divergent politics, background and circumstances. The beauty of the world hath made me sad. The beauty that will pass.…. The man was not yet 40, but he had made a substantial mark on his world – as a poet, editor, Irish speaker and translator, influential reformist teacher, Gaelic Leaguer, orator, and patron of artists from many disciplines. 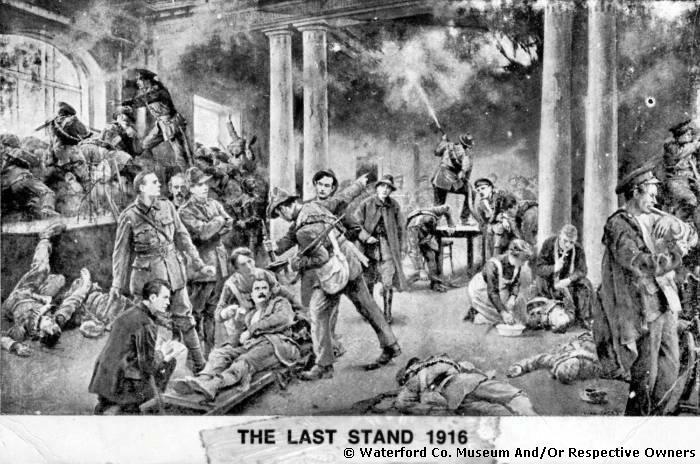 He was also a leader and Irish Volunteer, and member of the IRB. Joseph Mary Plunkett, though ill-health made him look older was in fact younger than Pearse: he was not yet 30, but again, a man of broad cultural interests – in Egyptian archaeology, in languages (he spoke several European languages), in Irish theatre, and he was editor of The Irish Review. No excuses, self-pity, just plain strong, tender words from an honest man for a child he can imagine inheriting his own strength and purpose. The three executed poets are buttressed by their peers in the succeeding sections (hauntingly titled ‘When the Dawn is Come’, and ‘Aftermath and Requiem’): AE (George Russell, mystic, literary mentor and painter), Francis Ledwidge (who died at Ypres in 1917), and the greatest of them all, W B Yeats, Eva Gore Booth (sister of Constance Markiewicz and a proud Trade Unionist), Sir Arnold Bax (Irish by adoption, a composer as well as a poet), James Stephens, Sean O’Casey, Thomas Ashe (hunger striker), Joyce Kilmer, Joseph Campbell, Dora Sigerson Shorter (a sculptor and a poet), Padraic Colum and Canon Charles O’Neill. These poems often joust with one another’s ideas; it is a poetic conversation of a particularly intimate kind among close friends (Ledwidge on MacDonagh and Mrs Joseph Plunkett, Eva Gore-Booth on Francis Sheehy Skeffington, the pacifist, and on Roger Casement (she would try to save him when many wouldn’t because of the slurs cast by the diaries) and Sean O’Casey who ‘sullenly’ kept vigil as his friend Thomas Ashe chose death over life and later wrote about him. Dublin was a small and deeply interconnected community, and the Rising removed a very significant generation of young and promising individuals who knew and loved one another. The trauma is raw and palpable in their peer group. They suffered ghastly survivors’ guilt, but the overwhelming sense is that even if they disagreed with the violent means, they deeply understood the motivations of the insurrectionists. The press towards pacific means of achieving their objectives sounds loudly among the survivors, just as the chants about blood sacrifice toll loudly for the victims of the Uprising. What also surprised me but perhaps shouldn’t is how much Christian language gets spilt in the rhetoric of nationalist sacrifice – the dying Christ is more often invoked than Cuchulainn. Has turned life’s waters into wine. For Abbey Street and Eden Quay. By corners where the martyrs fell. 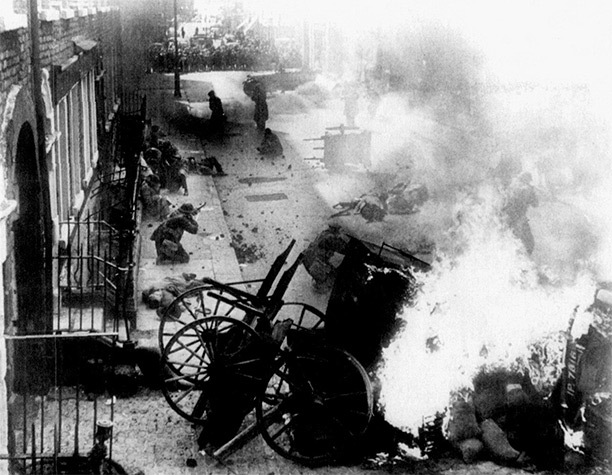 We could do a lot worse than be reminded by this poem, Arnold Bax’s ‘A Dublin Ballad – 1916’, of the ‘broth of love and hate’ that was stirred on that unglamorous Monday morning in Dublin in 1916, and the high price that was paid by the generation of 1916. I will treasure this book, not so much for its poetry, though there are good poems, even some modern ones among them, but for the strength of feeling, and the reminder that the patriot group accommodated a range of responses to the Rising, and a plethora of political positions. Tinteán Editorial Collective. Frances taught Literary Studies at Deakin and continues to do teach Irish Literature in a variety of contexts.